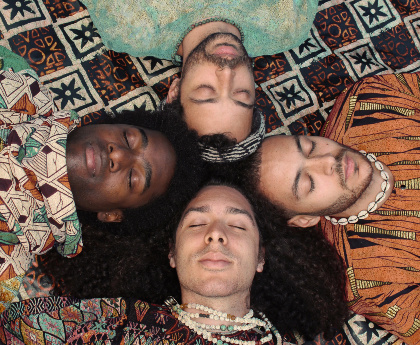 United Vibrations are the brothers Ahmad, Kareem, and Yussef Dayes and Wayne Francis II. They describe their sound as 12tone, referencing but decidedly expanding on 2tone’s mix of ska and punk. 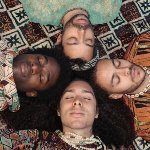 Their list of musical inspirations ranges from John Coltrane to Fela Kuti, Weather Report to Bob Marley, Ali Farka Touré to Sun Ra and the myriad sounds of the world. Bassist and vocalist Kareem Dayes says, “We understand that nothing is truly original and every note we ever play is coming from or inspired by someone who came before us. That is the beauty of music, language, and the human canon.” Which underscores their philosophical approach to their mission to energise audiences to participate in their ongoing search for the golden ratio of the love supreme.